Students enrolled in this program earn a Diploma in Computer Networks Technician. The program is designed to provide students with the necessary knowledge to design, manage and service computer networks. To introduce techniques for the design, management, service and support of data communication networks using the appropriate software and hardware. To recognize and restore technical damages of networking issues, by identifying the problematic components and troubleshoot them. To supervise, troubleshoot and maintain network systems. 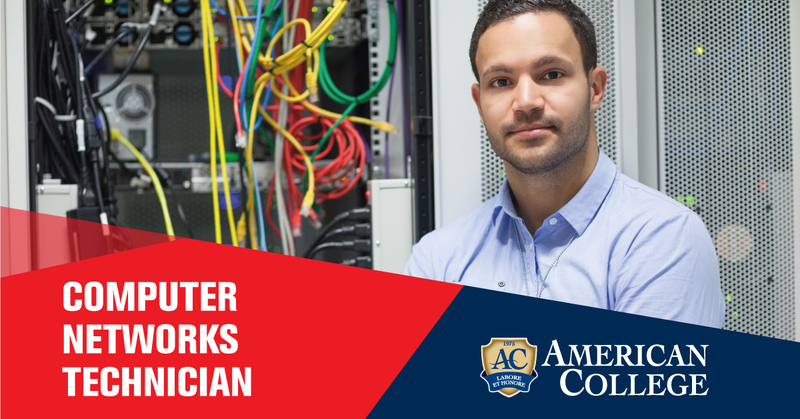 To ensure and verify the proper operation of computer networks (as a network administrator) by making all the necessary remedial actions using the appropriate tools. To safeguard computer systems and networks from malicious intrusions by applying the security principles for computer systems and stand-alone computers. To recognize and restore damages in data communication networks. To extend current network systems in respect to the fundamentals of data network security. To achieve efficient time management based on financial resources, security and quality management. To provide students with the necessary skills to be able to use popular software applications such as word processing, internet, electronic mail, spreadsheets and presentations applications. They have a full understanding of the theoretical and practical operation of communications and local networks. They have knowledge of the means and techniques required to install and operate modern local networks. They know the basic IT terminology in hardware and software. They apply the rules relating to the hygiene and safe exercise of their duties. They educate the use of new software and hardware or self-training with the use of appropriate telematics software (tele-education, etc.). Design, maintain and support data transmission networks using the appropriate tools (software and hardware), as instructed by their manufacturers. They manage data transmission networks through the operating system or other management tools. They control at the first level and maintain network facilities. They perform diagnostic tests on computer network installations and identify causes of damage. They interconnect local data networks with other networks. They have the knowledge and the ability to manage, support and maintain Internet access facilities, depending on the time and financial resources they are given, as well as rationally managing security and quality. They have the knowledge to configure active network devices to properly allocate their load. Detect and repair malfunctions in data transmission networks. They make job offer suggestions, according to the defined invitations they receive.